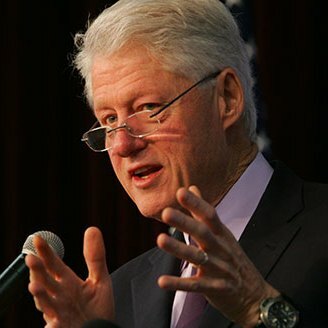 "Clinton dedicated a substantial portion of his 40-minute address before a joint meeting of the Obama National Finance Committee and a group of business leaders to the issue of guns and gun control," reporter Byron Tau writes. "Clinton warned the issue of guns has a special emotional resonance in many rural states — and simply dismissing pro-gun arguments is counterproductive." So is "looking down your nose at them," he warned. 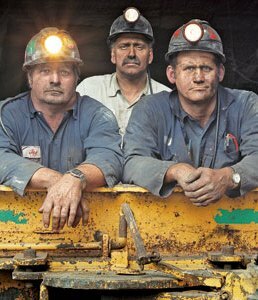 The rules would stop the appeals and eliminate MSHA warning letters that have given companies more time to fix problems before inspectors visit mine sites. The final rules were announced on the same day as former mine superintendent Gary May was sentenced to two years in prison for conspiracy for his involvement in the explosion at the West Virginia mine that killed 29 miners. May's sentence was shortened as part of a plea deal with prosecutors, who are using his information to pursue prosecution of other high-level officials. The mine had avoided being classified as a "pattern violator" by appealing hundreds of safety citations, and because of MSHA inaction, Ward reports. The Corps expects to finish repairs this spring ahead of schedule, which was originally set to finish in summer 2014. Local officials are hopeful that increased water levels this year will bring tourists back after six seasons of lower visitation. If the repairs pass review by third-party engineers, the lake will first be raised to about 20 feet below normal pool, allowing the agency to test the repairs. 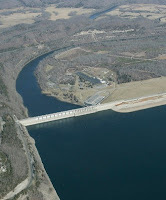 If the dam performs well at that level, the Corps will raise the lake to normal pool, 723 feet above mean sea level. For the Corps' news release, go here. National snow cover is at only 22 percent, the least since 2007. This snow drought in much of the U.S. is likely to have impacts on the cattle and hog industries this year, according to industry analysts. The lack of snow is affecting already beleaguered agriculture operations that were hit hard by last summer's intense drought, Chris Scott of Meatingplace reports. The Department of Agriculture designated 597 counties in states with grazing seasons as snow-drought disaster areas. A European Food Safety Authority report has named the world's most widely used insecticide as an "unacceptable" danger to bees feeding on flowering crops, Damian Carrington of The Guardian reports. 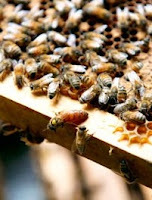 The report found that imidacloprid, a neonicotinoid made by the German firm Bayer, is a cause of bee decline. This is the first time neonicotinoids have been definitively linked to bee collapse. Kansas Agriculture Secretary Dale Rodman has asked the state legislature to repeal laws restricting corporate involvement in farming, a move that would reverse a nearly 80-year-old policy, John Hanna of The Associated Press reports. Rodman, a former executive with agribusiness company Cargill Inc., said the anti-corporate laws "hinder the growth of agriculture and recruitment of new agribusinesses" in the state, Hanna reports. Kansas law limits corporate ownership of farmland to family farm corporations, family partnerships and corporations with fewer than 15 stockholders, all of whom must be Kansas residents. There are exceptions to the law for feedlots and poultry operations, and counties can allow corporate dairies and hog farms. Kansas Farmers Union President Donn Teske told Hanna repealing the law would be the end of family farming. "Every time a 2,000-cow dairy [operation] goes in, it takes 20 dairy farmers out of a community," Teske said. "That is not economic development. That is rural depopulation." Republican Mississippi Gov. Phil Bryant urged Congress to make it illegal to enforce any executive order that violates the Constitution. "If someone kicks open my door and they're entering my home, I'd like as many bullets as I could to protect my children, and if I only have three, then the ability for me to protect my family is greatly diminished," Bryant said, adding that he is standing against the federal government taking away civil liberties. Tennessee state Rep. Joe Carr wants to make it a state crime for federal agents to enforce any ban on firearms or ammunition. Similar proposals have popped up in Wyoming, Utah and Alaska. "While such proposals are eye-catching, they likely could never be implemented," Barnard writes. The Supremacy Clause of the Constitution states that federal law always supersedes state law when there is a conflict between the two. 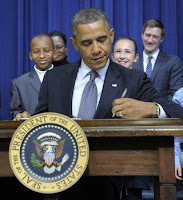 University of Denver constitutional law professor Sam Kamin told Barnard that "such disdain of Obama's proposals is reminiscent of former Confederate states' refusal to comply with federal law extending equal rights for blacks after the Civil War." During a vote on federal subsidies at the annual American Farm Bureau Federation meeting in Nashville, Southern delegates found themselves in the minority. Agri-Pulse reports that the voting body of the organization voted 179-153 for a motion supporting some types of crop insurance, but removing specific language calling for shallow loss revenue and reference prices, which Southern delegates supported. Such programs most often help Southern peanut and rice farmers. "We're not going to be drawing a line in the sand and promoting a single position," Farm Bureau President Bob Stallman said. The group did support development of a revenue insurance program for peanuts, which the Arkansas delegation amended to include rice. "It's critically important we have room as we move forward," Indiana Farm Bureau President Don Villwock said. He said the agricultural policy is entering a "new world," and "The crystal ball is as cloudy as it can be," echoing the majority's concern and uncertainty about farm programs. Members kept language supporting "catostrophic loss coverage as a first choice in policy, while noting that, 'If a catastrophic risk program is not achievable, we support producers being allowed a choice of program options,'" Agri-Pulse reports. Agri-Pulse is subscription-only, but a free trial is available here. Hundreds of flood-control systems overseen by the federal government are at risk of failing and endangering people and property in 37 states, U.S. Army Corps of Engineers inspectors have found. Deficient levees are in every region, in large cities and small towns, Cain Burdeau and John Flesher of The Associated Press report. The corps hasn't yet issued ratings for more than 40 percent of the 2,487 federally-inspected levees; of those it has rated, 326 covering more than 2,000 miles were deemed in urgent need of repair. "The problems are myriad: earthen walls weakened by trees, shrubs and burrowing animal holes; houses built dangerously close to or even on top of levees; and decayed pipes and pumping stations," Burdeau and Flesher report. The Corps denied to give AP details about specific levees, saying such information could heighten terrorism risks. But the reporters did find some specifics from federal and state records, and through interviews with officials in more than a dozen cities and towns. The most widespread deficiencies were design and construction flaws, inadequate or crumbling infrastructure, failure to control vegetation and invasive species, and building encroachment. Renewable energy facilities other than hydroelectric plants, the oldest form of renewable, are producing 53 gigawatts of electricity, and most renewable energy production takes place in rural areas, Agri-Pulse reports. Renewables could lead to increased rural development, but only if legislators are sensitive to regional needs, University of Kentucky agricultural economist David Freshwater said in a recent National Association of Counties webinar reported by Agri-Pulse. "If you just sort of focus on rural energy for the sake of, 'Look at all this money we can get to do this,' you're likely to make huge mistakes," Freshwater said, adding that proper implementation requires seeing it as an element in local economic-development strategies. He said it is unclear whether renewable energy would bring green jobs into rural communities because most of the research associated with renewable energy development focuses on urban areas. 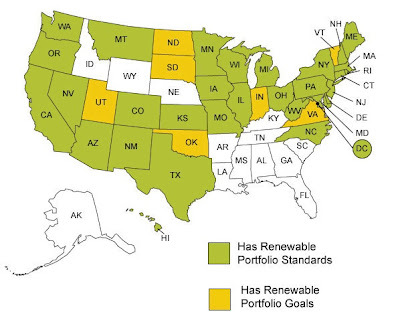 Also, he said, inconsistent state policies on renewables prevent renewable-energy growth. "It's incredibly complex to coordinate state and federal renewable energy policy," he said, with several webinar participants adding that working from county to county was often difficult. Freshwater called for a "new rural paradigm" to address rural development that would be a broad approach and lead to "bottom-up operations" that aren't sector focused. Department of the Interior officials say Secretary Ken Salazar will leave his post in March. "I want to thank Ken for his hard work and leadership on behalf of the American people," President Obama said in a statement. "Ken has helped usher in a new era of conservation for our nation's land, water and wildlife." Salazar spent his time as secretary focused on energy issues, including promotion of renewable energy, and dealing with the British Petroleum oil spill in the Gulf of Mexico, Aaron Blake and Juliet Eilperin of The Washington Post report. 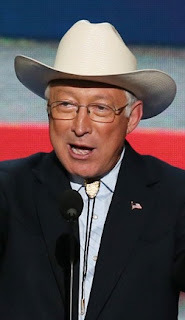 He promoted solar energy projects on public lands, pushed for offshore wind energy development on the East Coast and has dealt more recently with wild-horse management on public lands. In the wake of the BP spill, he separated the leasing and enforcement functions of the agency in offshore oil and gas drilling. Salazar faced opposition from the oil and gas industry, and to his efforts to create new federally protected areas of public land. In 2010, he proposed giving federal protection to areas with wilderness protections known as "wild lands." House Republicans created legislative language to overturn that policy, forcing Salazar to abandon it. The Department of Agriculture announced this week it will start a new micro-loan program for small, family, beginning and socially disadvantaged farmers seeking loans of less than $35,000. A press release says the program aims to help "producers through their start-up years by providing needed resources and helping to increase equity for that farmers may eventually graduate to commercial credit and expand their operations." The program will have a simpler application process than other farm loans. Secretary Tom Vilsack said the program is another example of USDA expanding opportunities for minority, disadvantaged, young and beginning farmers and ranchers. The program will be administered by the USDA's Farm Service Agency, and will have an interest rate that changes monthly. The current rate is 1.25 percent. FSA offices are listed here. 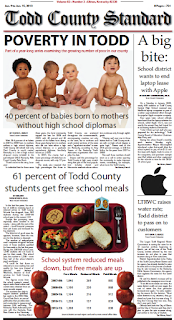 The Todd County Standard in Elkton, Ky., started a year-long series last week about the county's growing poverty rate. It's an issue that most community newspapers might shy away from, but the Standard is again proving why it has been judged the best small weekly newspaper in the state for six straight years. The county is not in Appalachia, as you might expect, but in southwestern Kentucky and the edge of the territory covered by the Delta Regional Authority. "While our prospects for being able to attract manufacturers and the regional concept that has brought water, economic development and perhaps a regional job training center offer Todd County several ways to overcome poverty, the sad reality now is that we are in a state of crisis and we need to admit it," the paper opined. "With one of the highest rates of uninsured people in the state; with children in poverty on the rise; with one in three families on some sort of government assistance; with 40 percent of children born between 2007 and 2009 to mothers who do not have high school diplomas; with 61 percent of school-age children on free or reduced lunches there is more than enough information to make us concerned." 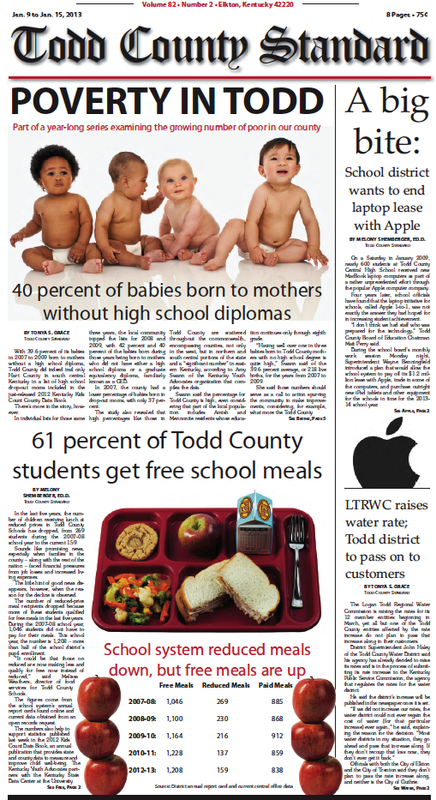 The paper will study Todd County's poverty to inform the public about it and discuss ways in which it can be addressed. The first two stories in the series appeared in the Jan. 9-15 edition, and cover babies born to mothers without high school diplomas and high rates of children receiving free or reduced-price school lunch. "Poverty is not a plague," the paper writes. "It is curable. It has been cured in other places, but the only way it can be cured is for people to become aware of its severity and then to care about poverty's demise." For the editorial and the stories in the first installment of the series, click here. President Obama's plan for reducing gun violence, announced today, calls for new funding to employ local police officers and for improving mental health care services, which could help rural areas that lack police protection and where mental health care is often out of reach because of lack of facilities and providers. The plan calls for expanding the COPS Hiring Grants, which help police departments hire officers to be school resource officers. The Department of Justice will be ordered to give preference to grant applications that support such school officers. The COPS program has helped rural police departments hire officers they likely wouldn't be able to hire without it because of small budgets. The mental-health section of the plan calls for creating programs to train educators to identify mental illness in children and teens and how to refer them for treatment, and for $25 million for state-based initiatives to support people aged 16 to 25 who have mental health or substance abuse issues. An additional 5,000 mental health care professionals would be trained to serve youth under the plan, and insurance coverage for mental health issues would be required, including those covered by Medicaid. 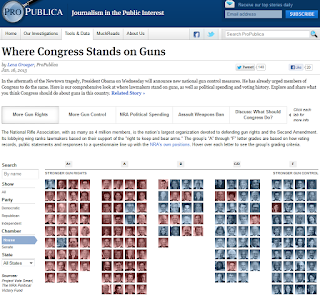 To give easy glimpses of where your senators and representative(s) have stood on these issues, and with the main lobbying interests, the independent, investigative journalism outlet ProPublica has created an interactive graphic showing how each lawmaker is rated by the National Rifle Association and the Brady Campaign for gun-control laws, with a chart of current members' votes on the 1994 assault-weapons ban and an accounting of the NRA campaign contributions to each legislator, available here. Tiny black particles released into the atmosphere when fossil fuels are burned are far more powerful agents of global warming than previously thought, according to a study by atmospheric scientists. The particles, or black carbon, are the main ingredient of soot and are the second largest contributor to global warming, behind only carbon dioxide, the authors write. The study, "Bounding the role of black carbon in the climate system: a scientific study," will be published online in The Journal of Geophysical Research-Atmospheres. The new estimate of black carbon's heat-trapping power is about double the estimate made in the 2007 report by the United Nations Intergovernmental Panel on Climate Change, notes Elisabeth Rosenthal of The New York Times. Researchers said that if indirect warming effects of black carbon are factored in, the total effect could be about three times the previously estimated rate. The 2012 drought that nearly crippled the Midwest Corn Belt will continue through this year in the region, according to a crop outlook presented by Iowa State University economist Chad Hart at the American Farm Bureau Federation annual convention this week. There was significant demand for corn last year because it was in such short supply, but the big question for 2013 is whether that level of demand will be experienced again, Agri-Pulse reports. "When we saw the drought coming, the market went into action: prices rose and we dropped demand down to match that supply," Hart said. The U.S. is likely to see a bump in yield compared to last year, but "we're likely going to remain below trend line again here in 2013. Mother Nature's not done with us yet." The livestock sector will also face problems with demand this year, especially with beef, Texas A&M University economist David Anderson said during the Farm Bureau meeting. U.S. beef consumption is projected to fall from 65 pounds per person in 2007 to 55 pounds this year, and Anderson said that decline will continue because of high prices. People are eating less meat, but declining production and a booming export market are having the biggest impact on U.S. beef production. "In 2013 and 2014, you're going to start to really see the effects of a declining cow herd on beef production," Anderson said. "Fewer cows, fewer calves, less beef." Agri-Pulse is available by subscription-only, but a free trial is available here. The number of U.S. military service members who committed suicide last year reached an all-time high of 349, outpacing the number killed in combat, according to military officials. The suicides "underscored the toll a decade of wars has taken on the all-volunteer force and the extenet to which the Pentagon continues to grapple with an issue senior leaders have called an epidemic," Ernesto Londono of The Washington Post reports. Veterans and active-duty service members come disproportionately from rural places. The Pentagon has tracked suicides since 2001, and the military became concerned in 2006 when the rates began to rise. The military saw about one suicide a day last summer, prompting Defense Secretary Leon Panetta to express frustration. The rate remains slightly lower than in the general population, but officials say it is "nonetheless unacceptably high," Londono reports. The military has implemented several programs to encourage veterans and active-duty members to seek help for depression and post-traumatic stress disorder, including hiring more behavioral health-care professionals, expanding a mental-health crisis line and starting a long-term study of mental health for service members. "This study paints a comprehensive picture of childhood obesity, and we were surprised to see just how many conditions were associated with childhood obesity," said lead author Dr. Neal Halfon, a professor of pediatrics, public health and public policy at UCLA. 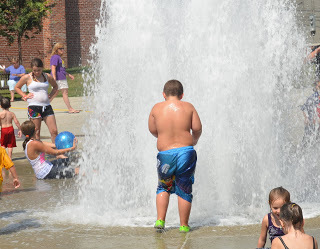 Rural children are more likely to be obese than their urban and suburban counterparts. Compared to kids who are not overweight, the study found that obese children have nearly twice the risk of having three or more reported medical, mental or developmental conditions. Specific medical conditions included bone, joint and muscle problems; asthma; allergies; headaches; and ear infections. Obese children also reported a greater tendency toward emotional and behavioral problems, higher rates of grade repetition, missed school days and other school problems, ADHD, conduct disorder, depression, learning disabilities, and developmental delays. Vicco city attorney Eric Ashley told Bill Estep of the Lexington Herald-Leader that there was little public opposition to the ordinance and no citizens spoke against it during the city council meeting Monday. "Most people realized it's not putting a stamp of approval on a lifestyle, it's about protecting human beings," Ashley said. Amelia Holliday of the Hazard Herald, the local newspaper, reports Police Chief Tony Vaughn said during the council meeting that he wanted the law on the books so he could protect people: "From my stand point, it just makes it easier to enforce the law." There is little consensus about how to improve the beleaguered system of locks and dams on U.S. waterways even though significant changes need to be made to make long-term improvements to waterway infrastructure, Sara Wyant of Agri-Pulse reports. A recent Texas Transportation Institute and Center for Ports and Waterways study includes input from several groups and discusses several solutions for improving locks and dams. Poverty is a very complex issue, and too often people wonder why those living in poverty remain so even though there are programs to alleviate their struggles and raise their economic potential. Often forgotten are the political, social and economic systems that steer the lives of people living in regions where poverty is prevalent, as Jason Bailey, research and policy director for the Kentucky-based Mountain Association for Community and Economic Development, writes for the Daily Yonder. Analyses about poverty should look deeply at why there are so many hardships and so few jobs for people living in poverty, especially those in Central Appalachia, Bailey writes. He says part of the answer can be found in the 2012 book, Why Nations Fail, by economist Daron Acemoglu and political scientist James Robinson. The authors look at nations throughout history to determine why some are poor and others are rich, and conclude that culture and geography aren't forecasters or determiners of economic success. Rather, it comes from economic and political institutions, which the book classifies as either inclusive or extractive -- the latter being "designed to benefit the few at the expense of the many," Bailey writes. "They discourage democratic participation, fail to enforce the rule of law or promote new economic activity, and are characterized by corruption and cronyism." The writers' theory of an extractive economic and political system can easily be applied to Eastern Kentucky, Bailey says. "The region has long been made up of haves and have-nots," he says. The trend was established in the early 19th Century when wealthy investors and powerful local elites bought up much of the land and mineral rights, then allowed coal and timber companies to extract the region's natural wealth. Company towns superseded local democracy and local elites aligned themselves with the coal industry or became part of it, Bailey writes. The farm economy boomed in Obama's first term, Mary Jalonick of The Associated Press reports. 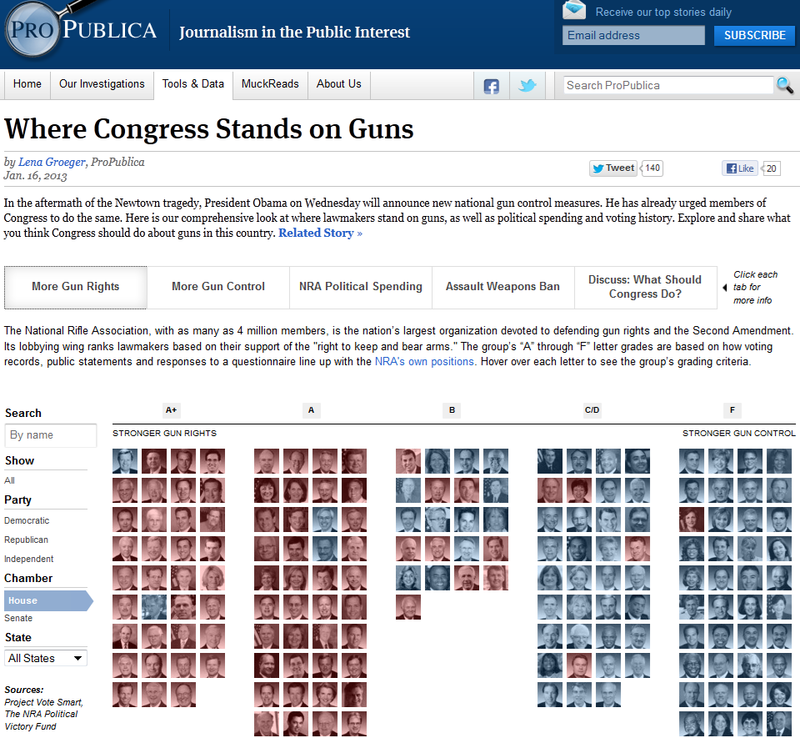 Vilsack's job hasn't been easy, though. Last year saw the worst drought in more than 50 years, and he said Congress's failure to pass a new Farm Bill showed rural America was losing its political relevance, which received some backlash. 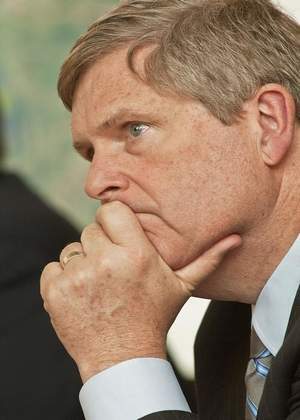 Vilsack will likely spend the next several months lobbying the body to pass a Farm Bill, Jalonick reports. During a speech to the American Farm Bureau Federation in Nashville yesterday, Vilsack said the bill should also encourage more soil and water conservation and support more agricultural research, Charles Abbott of Reuters reports. Vilsack wrote in an op-ed piece in The Tennessean that there is "a future of unlimited opportunity for rural America." He asked agricultural leaders for "help to build new partnerships, and encourage new understanding among all Americans of the importance of our rural areas." For the text of the speech, click here. Last year's drought drove corn prices up to $8 a bushel, giving farmers incentive to plant even more corn this year, especially if it's organically grown. Tim Thornberry of KyForward reports that organic corn is selling at much higher prices, more than $14 a bushel in December. "That could be a deciding factor for many farmers, at least as a possible addition to already existing operations," Thornberry writes. The University of Kentucky Cooperative Extension Service, gthe Kentucky Corn Growers Association and Organic Valley Cooperative are conducting a day-long workshop on Jan. 16 in Bowling Green, Ky., to inform farmers about organic corn. "Farmers who do not know about the [premium price paid for organically produced corn] often are not knowledgeable about organic corn markets, production systems and certification rules," UK agricultural economist Lee Meyer told Thornberry. Meyer said farmers think they have to raise crops like their grandfathers did when they think about organic foods, but organic is simply another method of production. If there's a similarity between farming like their grandfathers and organic farming it is being a good land steward, he said. (Read more) There is a $10 registration fee for the workshop, and farmers can register by emailing Will Martin at William.martin24@uky.edu, or by contacting their local Kentucky extension office. "When the top cheerleader for rural America has some harsh words for the people he represents, it might be time to take notice," Christopher Doering of the Gannett Washington Bureau reports for the Des Moines Register, in a look at rural America and rural Iowa in the wake of the recent rural-relevancy comments by Agriculture Secretary Tom Vilsack, a former Iowa governor and small-town mayor. In another story, Doering says the reasons for the declining share of rural population are varied and complex, but experts say they boil down to one thing: fewer opportunities. Technological advances have reduced the number of farm workers needed, and the growth of other industries, including steel and automobile, and college educations have pulled rural youth into urban centers, where they married and had children and stayed, not returning to their rural roots, Doering writes. As rural towns shrink, there's less demand for services that create jobs. Schools with smaller classes might have to lay off teachers or other staff. Businesses are more likely to not expand if a town's population is too small for them to make large enough profits. And all of those things reduce the amount of jobs and tax money available to improve local infrastructure. New federal mortgage rules include a key standard: Consumers can't get a qualified mortgage if they have debts exceeding 43 percent of their income. But the Consumer Financial Protection Bureau pushed for, and got, an exemption for small banks with less than $2 billion in assets, giving them more freedom to lend in their communities to low- and middle-income people, who make up large portions of their clientele, Danielle Douglas of The Washington Post reports. "Consumer advocates say the new standards could shut out first-time home buyers or others with low income," but the exemption for small banks "could provide a pathway for these types of borrowers and offer credit unions and other small lenders a bigger slice of the mortgage market, currently dominated by a few big banks," Douglas writes. Consumer Bureau director Richard Cordray told her that community banks and credit unions didn't cause the recent financial crisis and shouldn't be punished for it: "Their traditional model of relationship lending has been beneficial for many people in rural areas and small towns across the country." "People were crowded five deep at the tiny counter of a gun shop near Atlanta, where a pastor from Knoxville, Tenn., was among the customers who showed up in person after the store’s Web site halted sales because of low inventory," Cooper writes. 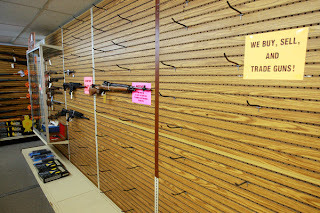 "Emptying gun cases and bare shelves gave a picked-over feel to gun stores in many states. High-capacity magazines, which some state and federal officials want to ban or restrict, were selling briskly across the country: one Iowa dealer said that 30-round magazines were fetching five times what they sold for just weeks ago." Gun dealers told Cooper this rush to stock up isn't likely to ease. The Community Farm Alliance of Kentucky is hosting a day-long workshop to discuss food systems in the Eastern third of the state. Farmers, consumers, educators, extension agents and others are welcome to join in regional networking and discussions about the topic at the Eastern Kentucky Food Systems Collaborative event. "The focus of the day will be around continuing discussions of how to take action and move the vision of a robust, regional food system in Eastern Kentucky into a reality," a press release says. Agriculture Commissioner James Comer will speak, and an afternoon panel discussion will focus on local food success in Eastern Kentucky communities. The event will be held Thursday, Jan. 17, from 10 a.m. to 4 p.m. at the Woodland Center at Natural Bridge State Resort Park at Slade. Registration is $8 in advance, $11.50 at the door. For more information or to RSVP, contact alexa@cfaky.org. Observable changes to the climate in the past half century are due "primarily to human activities, predominantly the burning of fossil fuel," and no part of the U.S. is immune to change, according to a draft of the most recent National Climate Assessment released Friday. "Corn producers in Iowa, oyster growers in Washington State, and maple syrup producers in Vermont have observed changes in their local climate that are outside of their experience," the report says. It also concludes that extreme weather, like Hurricane Sandy and last summer's drought, is the new normal. Some environmentalists hope the report will make the Obama administration and Congress more active in curbing climate change, even though many Republicans are hesitant to link it to human activity, Deborah Zabarenko of Reuters reports. Congress has been largely silent on the issue since the failed attempt to pass "cap-and-trade" legislation in 2009 and 2010. Some Democrats hope President Obama will use executive powers to "clamp down further on some carbon-polluting industries," Zabarenko reports.